Adventures of an Art Teacher: Kansas Critters: Bugs! My K-3rd students are working on Kansas Critters Bugs! 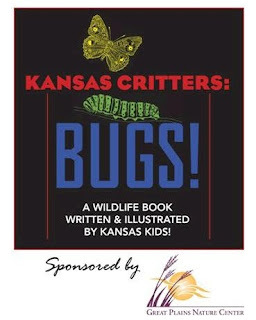 It is an awesome program sponsored by the Great Plains Nature Center in Wichita. (An awesome place to visit if you ever have the chance.) If you have K-8 students and work in Kansas, this would be an awesome project. There is a list of species of insects and other "bugs" that are accepted for the contest and the works of art can be any kind of drawing or painting that is 9x12 or 8.5x11 inches. I spent a whole class period showing my students a PowerPoint of images. I just went down the list and found photographs of as many species as I could. Well, mostly. 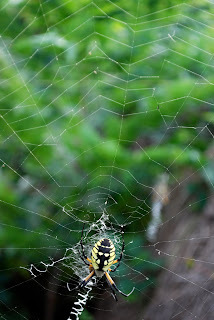 I have an intense (and irrational) fear of spiders so I only added two pictures before I got too creeped out. The students were really excited I just had a hard time getting them to understand that we didn't have time for a story about every bug. 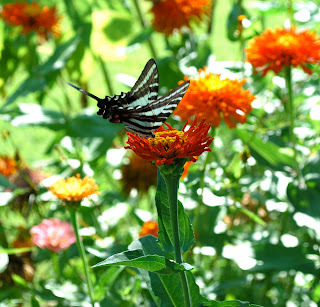 I answered as many questions as I could with my bug trivia knowledge from 5th grade when we started an OWLS garden and the information I learned while looking for pictures. Of course the younger kids don't understand the difference between a question and a statement so that was kind of funny. I had to tell one of the Kindergarten classes not to ask "why" questions. 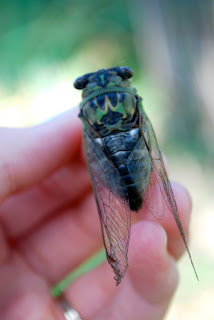 I don't know why green stink bugs are green and I don't know why dragonflies have 4 wings. To help them fly, probably? I tried to tell them that most animals are the way they are because it helps them do their "job" even if their job is eating grass or hunting other bugs. It was nice to integrate science and most of the grades had completed bug units earlier in the fall. For the next two class periods which will take us clear to Winter Break, the 1st-3rd grade students will draw their bugs. I am only going to spend one class drawing bugs with Kindergarten students. I have copies of some of my bug photos for each group of students and a sizeable stack of bug books from the library. I will be so excited if one of my students' artwork gets selected to be published in the book! Students can also submit facts, poems, or stories about one of the bugs to make up the text of the book. 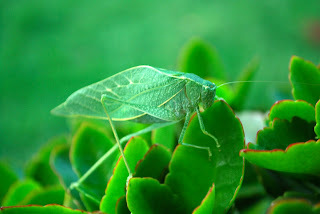 Some sort of katydid, not on the list unfortunately! 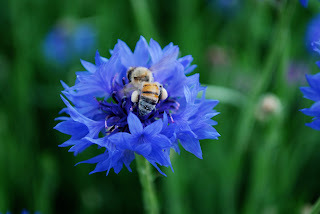 I think this is a honeybee? It's kind of hard for me to tell what kind of bee it is.